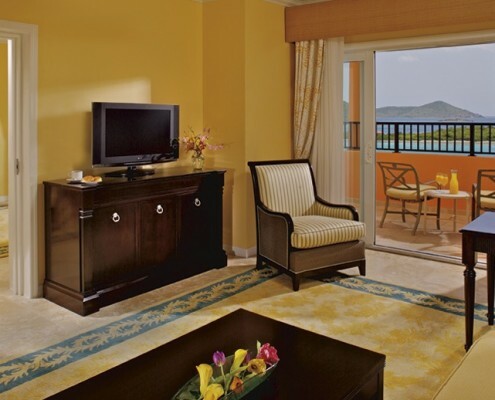 Nothing makes a statement of exquisite style like a vacation at the Ritz-Carton, St. Thomas. 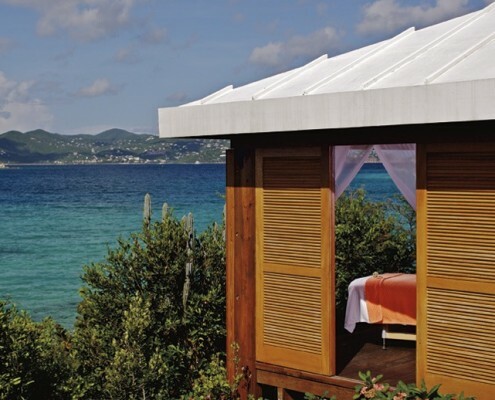 Boasting 30 acres of Great Bay waterfront with pristine, white sand beaches and lush gardens, the resort offers all the comforts of home without sacrificing luxurious amenities. 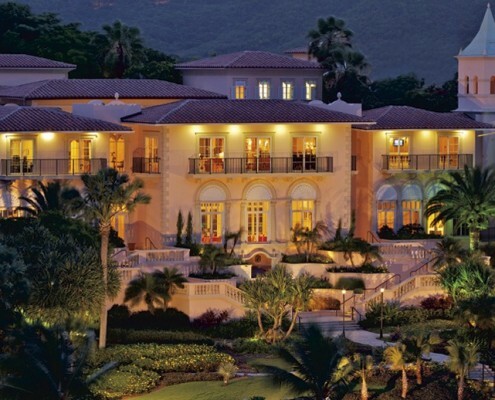 Want for nothing at you embrace the discerning style of Ritz-Carlton among the most breathtaking scenery in the Virgin Islands, just minutes away from the international airport. 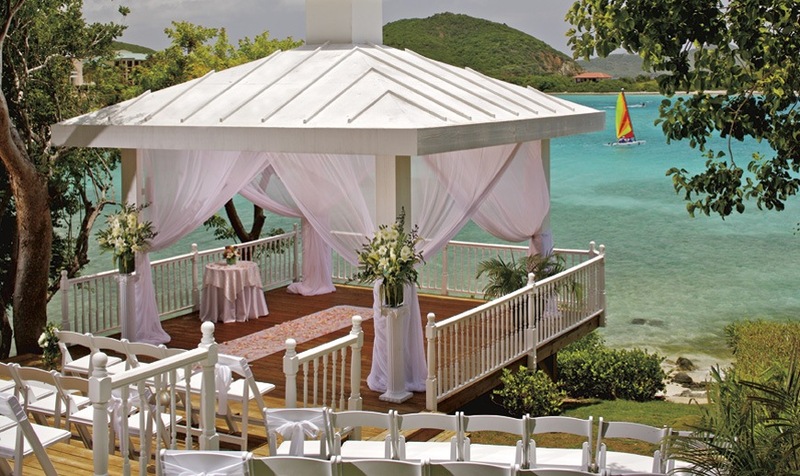 Whether you are enjoying the splendid beaches of Coconut Grove, Great Bay, or relaxing by the traditional or infinity edge pool, you will have access to personalized beverage and snack services via waiters or the swim-up bar. Relax in the hot tub, or head over to the world renowned Ritz-Carlton Spa for the ultimate pampering experience. Babysitting services are available upon request for those seeking some alone time. 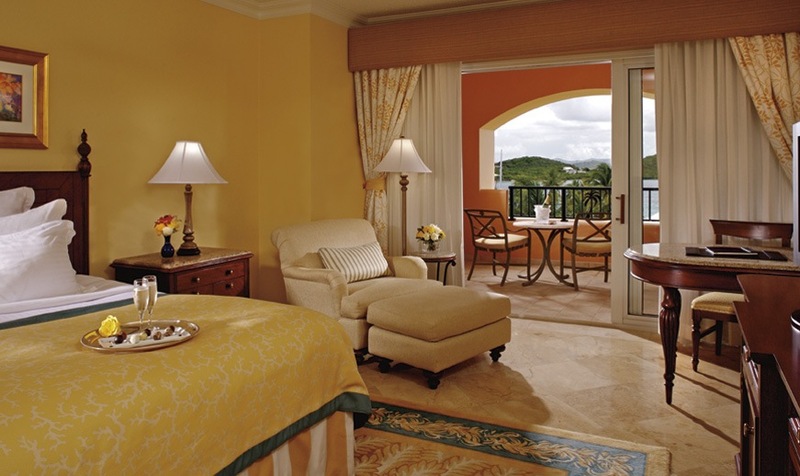 Every room and suite is appointed with the finest furnishing and luxury linens true to the opulent style of Ritz-Carlton. Your quarters will include an entertainment center, stocked mini bar, in-room safe, spacious baths with discerning toiletries, and your own private balcony, which is an idyllic place to enjoy 24-hour room service. 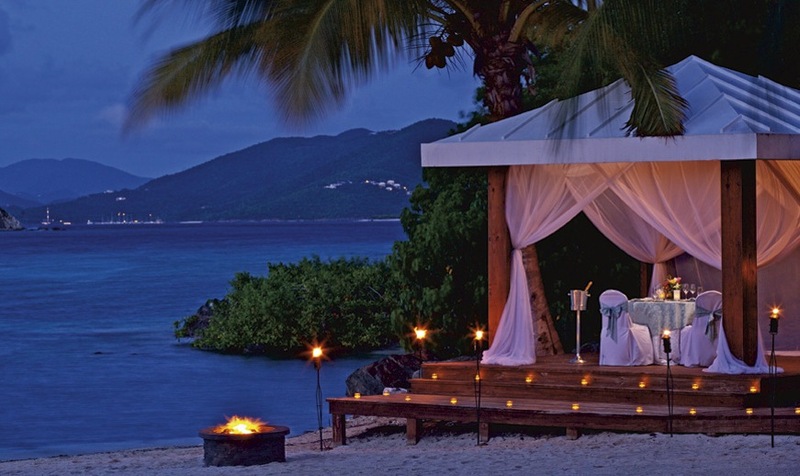 Evening turndown service is personalized to get you off to sleep in the utmost comfort. 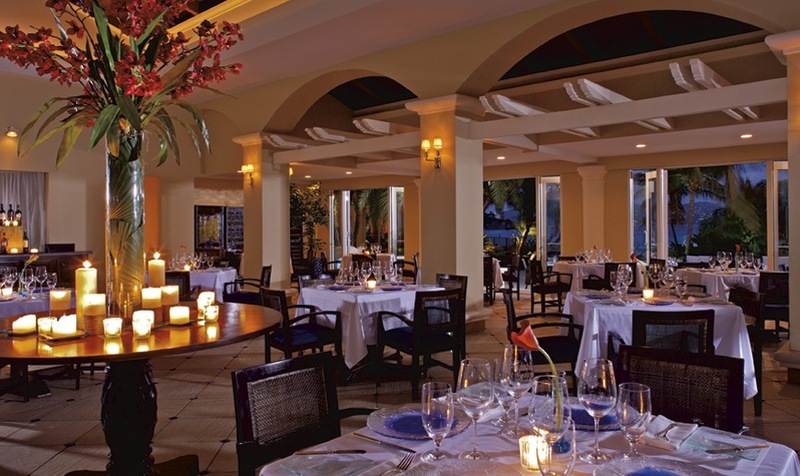 Partake in a four-course gourmet dinner on the beach, or tempt your palate at any of the four fine dining establishments at the property. 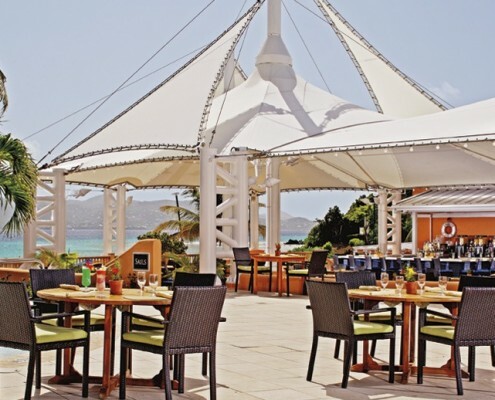 Bleuwater is an award-winning restaurant that serves prime meats and traditional fare, while Coconut Cove is the perfect choice for those seeking authentic Caribbean Cuisine. 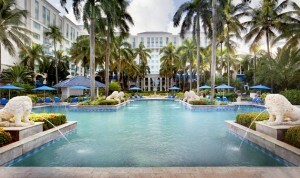 Enjoy tropical cocktails at the poolside lounge or within any of the restaurants. 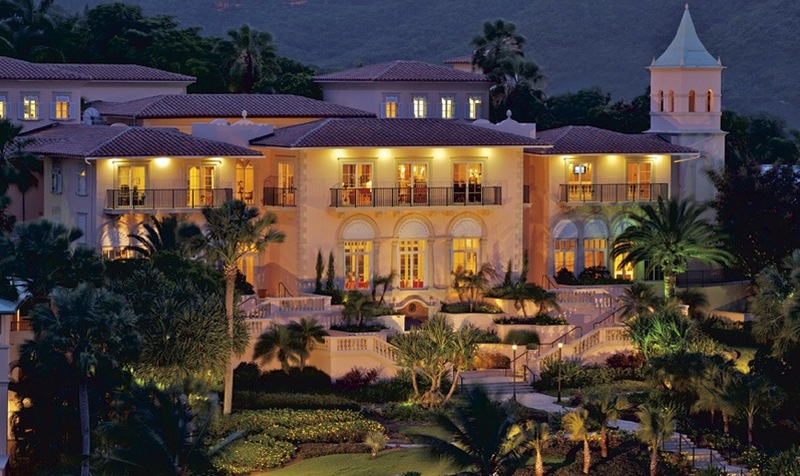 All guests have access to hosts of activities; however, those opting to take advantage of the resort fee can partake in them at no additional charge. In addition to numerous activities that include snorkeling, paddleboating, kayaking, and tennis, this plan offers you access to the fitness center, weekly demonstrations, a complimentary skin consultation, and a consult with a personal trainer. 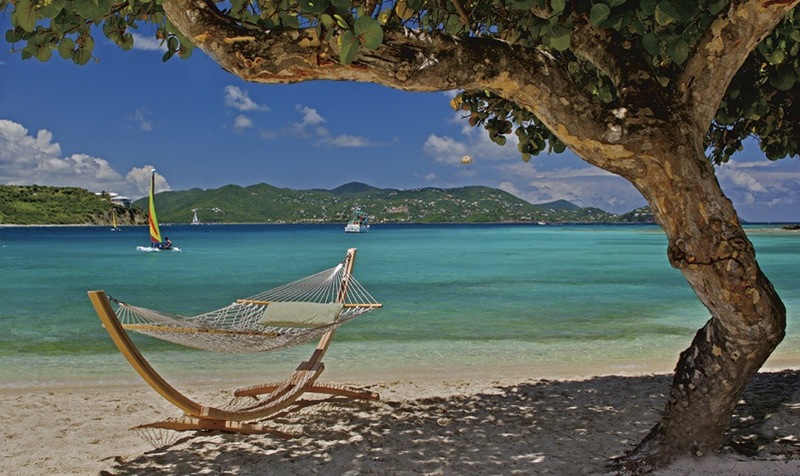 Take a cruise on a luxury yacht or head out on the resort’s 53-foot catamaran. 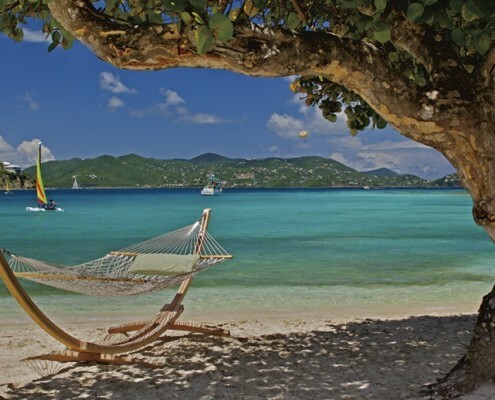 Guests can trek through Virgin Island National Park nearby, or play a round at the only 18-hole championship course on the island. Polished hardwoods are accented with soft hues of sand and foam in this 450 square-foot room. It also features high-speed Internet access; a writing desk; flat-panel, high- definition television; marble bathroom; private balcony or terrace; and view of the resort’s lovely grounds and neighboring hills. Occupancy: 3 adults / 4 total. Bedding: 1 king bed plus a sofa bed or 2 double beds. 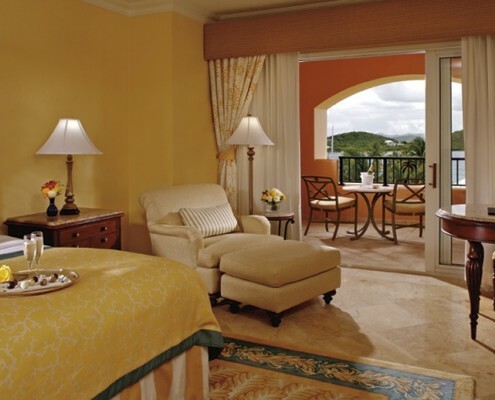 Enjoy the same amenities as a Resort View room plus a beautiful ocean view. Occupancy: 3 adults / 4 total. Bedding: 1 king bed plus a sofa bed or 2 double beds. 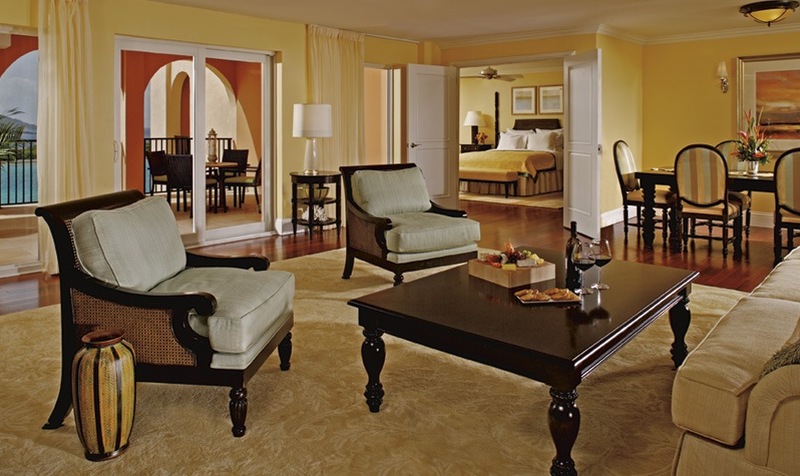 Along with the elegant furnishings and amenities of the Resort View room, this larger, 925-square-foot suite includes a master bedroom with en-suite bath, large living area with a guest bathroom, and gorgeous views of the Caribbean Sea framed by tropical gardens. Occupancy: 3 adults / 4 total. Bedding: 1 king bed plus a sofa bed or 2 double beds. 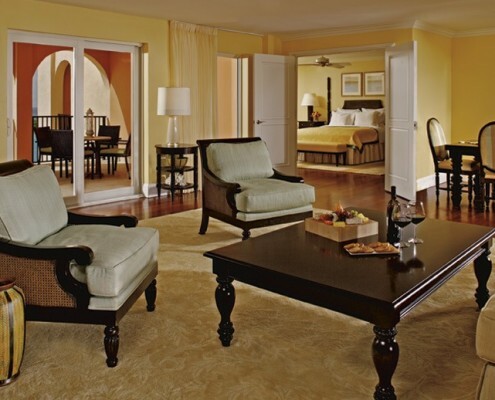 This 500 square-foot room features the same lovely décor and amenities as the Resort View room, plus a soaking tub, standing rain shower, custom-made Sealy Posturepedic Plush beds, Egyptian Frette linens, European down feather pillows, and an oversized terrace with a breakfast table and seating. 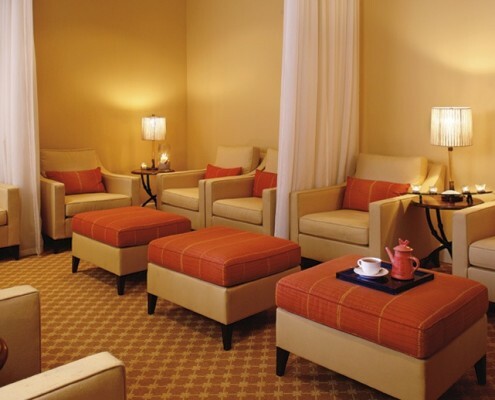 Relaxation continues with a dedicated concierge that will attend to your needs in a well-appointed lounge. 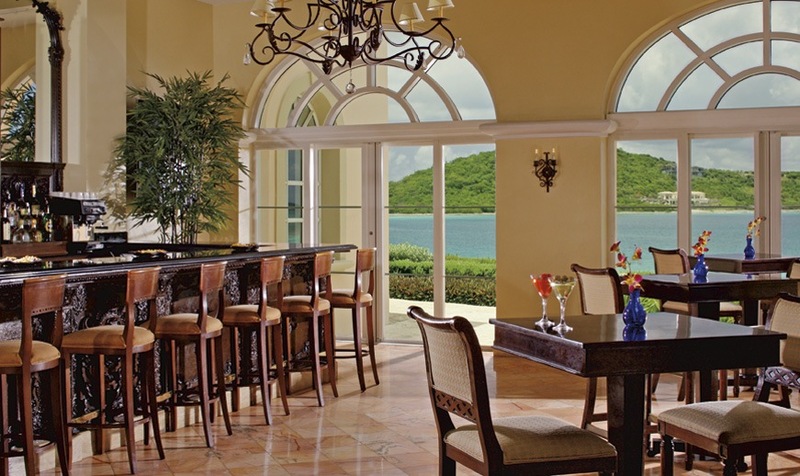 This private oasis also includes culinary offerings throughout the day (breakfast, light snacks, hors d’oeuvres, beverages and sweets); and access to a computer station. 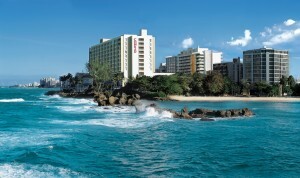 It is the ideal place to conduct business, plan a family outing or simply unwind. Occupancy: 3 adults / 4 total. Bedding: 1 king bed plus a sofa bed or 2 double beds. 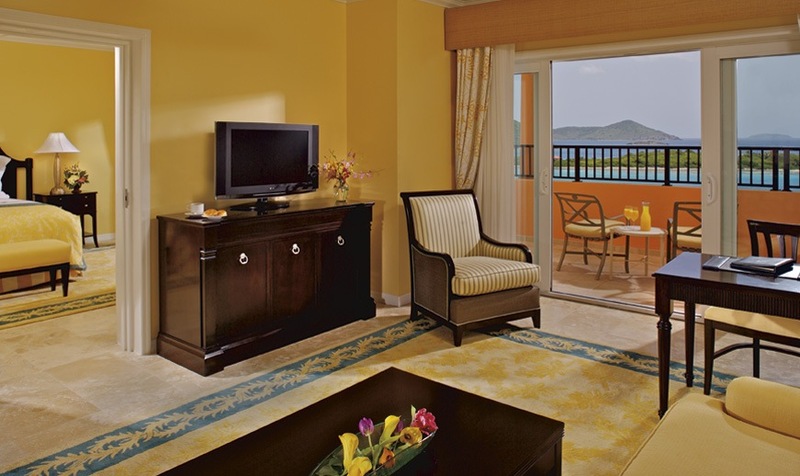 Enjoy the furnishings and amenities that are found in the Club Resort View Guestroom plus a beautiful ocean view. Occupancy: 3 adults / 4 total. Bedding: 1 king bed plus a sofa bed or 2 double beds. 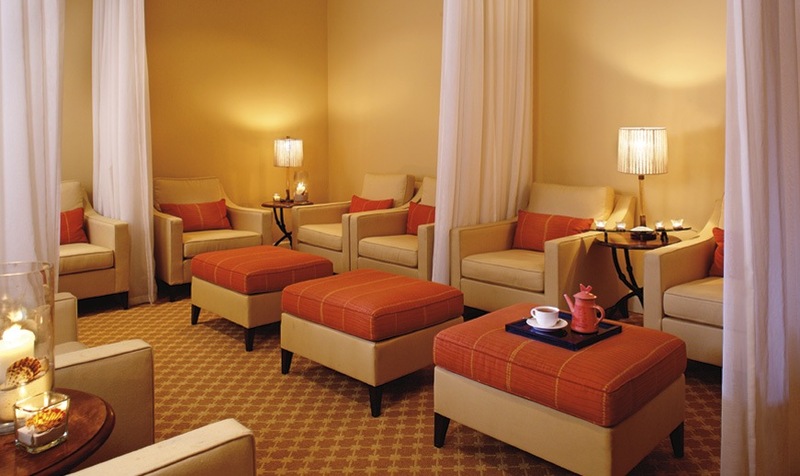 The Club Level Lounge and all of the Club Level Guestrooms/Suites will be closed 09/04/12 – 11/18/12. They are scheduled to re-open on 11/19/12. 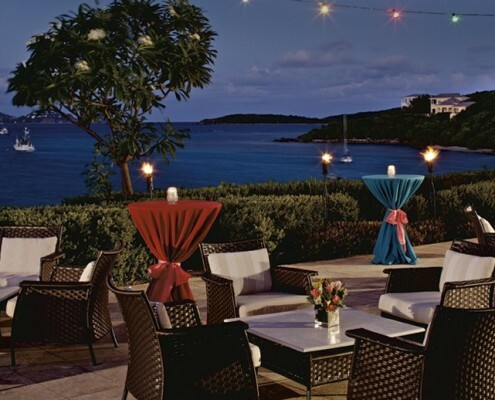 Bleuwater – Island chic and decidedly sophisticated, Bleuwater elevates guests’ dining experiences to new heights with inventive local seafood creations, savory cuts of meat and an award-winning wine collection. 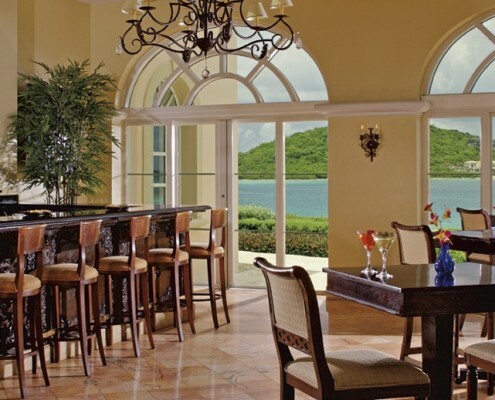 With its West Indies-style décor and French doors that open to the terrace overlooking Great Bay, Bleuwater blends harmoniously with its tropical surroundings to offer a unique feel for our relationship with the land and sea. 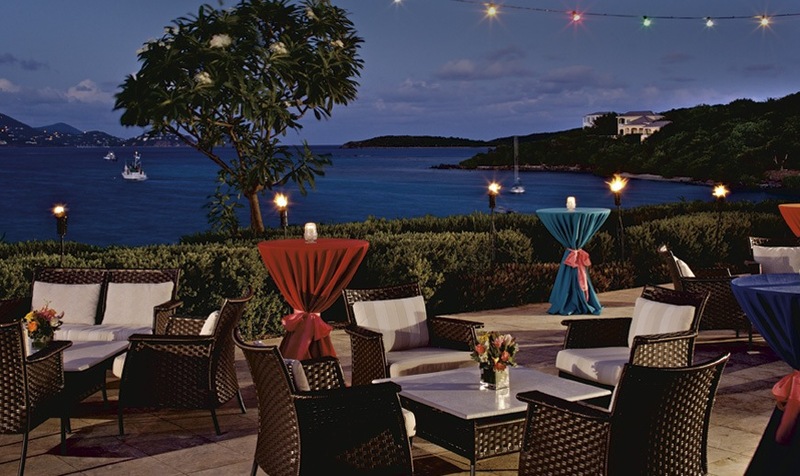 Great Bay Lounge – A casual island-inspired retreat where tantalizing Asian flavors combine for a one-of-a-kind dining experience. Take a seat at the sushi bar and watch our chef prepare the finest and highest quality sushi or enjoy eclectic dishes with the unique flavors of the Orient. 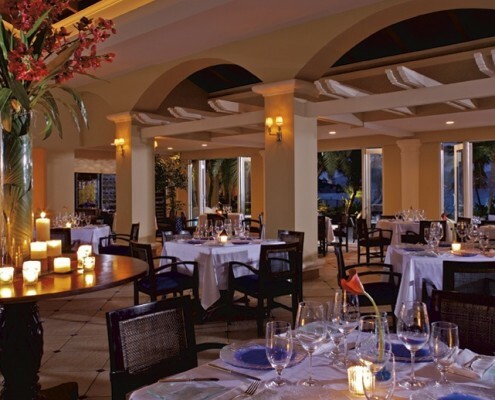 The cuisine is complemented by a superb selection of sake, fine wines and distinctive cocktails. 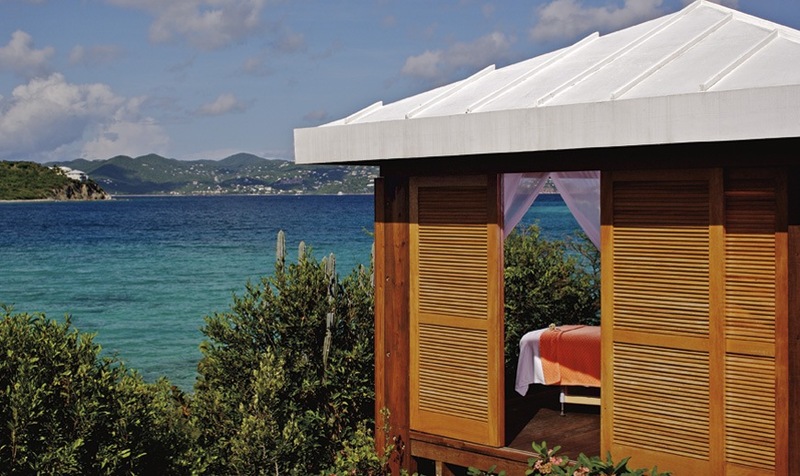 A large wood deck and terrace accommodates guests who prefer to sit outdoors and enjoy the ocean breezes and spectacular views of St. John. 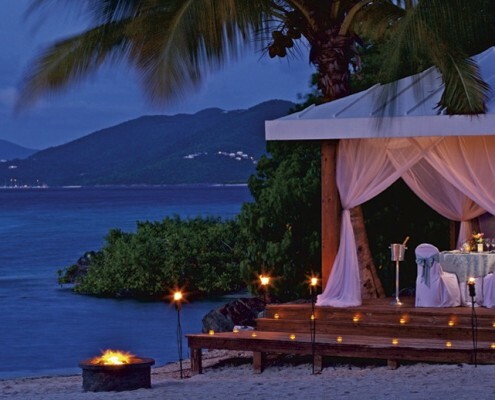 Coconut Cove – Offers guests simple and relaxed beach-front dining. 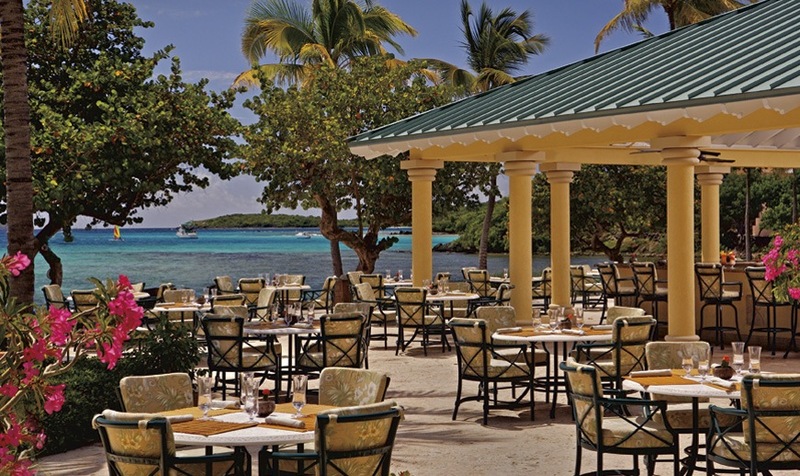 During the day and into the night, Coconut Cove is the ideal place to savor the distinctive flavors of the Caribbean with a menu focused on local specialties, including freshly caught fish and lobster. 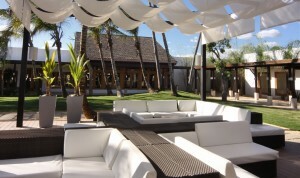 The expansive bar specializes in a full range of tropical libations, wines and beers. 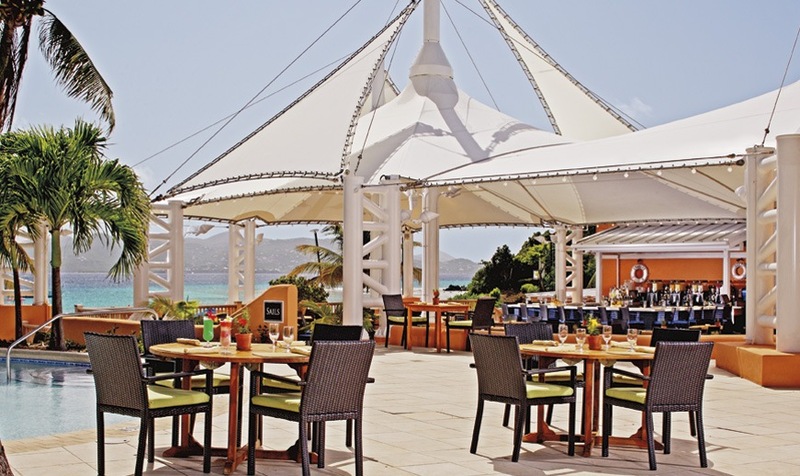 Sails – Enjoy the cool sea breezes, sip a freshly made cocktail and dine on casual beach fare including a delicious selection of seaside salads, burgers and tempting light bites. 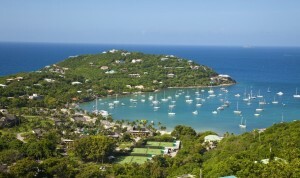 125-foot free-form infinity edge pool, children’s pool and Jacuzzi on Great Bay beach, and traditional pool with Jacuzzi, children’s pool and serenity pool on Coconut Cove beach, it is the perfect family-friendly location to relax in the St. Thomas sun. 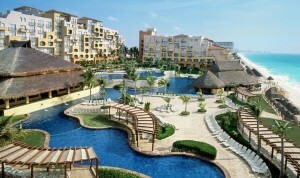 Pool and beachside food and beverage service is available. Scuba Diving – Guests can explore the colorful waters of the Caribbean Sea with Patagon Dive Center on guided scuba dives and snorkeling excursions that depart daily from the resort’s full PADI Dive Center on property. Snorkel and scuba programs are also available for children: children ages five and older are welcome on the snorkeling outings and ages eight and older on the scuba tours. All sails include a full open bar and snacks, appetizers, or a full lunch or dinner. Relax on the rooftop sundeck or on the lower level which features a full bar, dining tables and wraparound seating to comfortably accommodate up to 49 guests. Other activities may include: sand castle building, volleyball, junior tennis, Wii games, sack races, kayak races, timbers and more. Children should bring bathing suits, shoes, sunscreen and dry clothes. Our full day program takes place from 9 a.m. to 4 p.m. each day. The program fee is $95.00 per child. Lunch is included. Our three-hour half day program is available each morning from 9 a.m. to noon, and each afternoon from 1 p.m. to 4 p.m. The program fee is $65.00. An optional lunch may be included for an additional $20.00.